This book is packed full of valuable information from the best in the business. Learn the secrets from 10 thought leaders and experts who have witnessed leaders rise to the top from companies throughout the Direct Sales Industry. My chapter focuses on the importance of mindset and how focusing on and celebrating your successes (ALL of them, even the small ones), can make a big impact on how fast you climb to the top and achieve the goals you’ve set for yourself. Please Note: If you just want to order my book (without any Miche items), then click here. Same sale price available right now but the shipping is a lot less. Learn the secrets from 10 thought leaders and experts who have witnessed leaders rise to the top from companies throughout the Direct Sales Industry. My chapter focuses on the importance of mindset and how focusing on and celebrating your successes (ALL of them, even the small ones), can make a big impact on how fast you climb to the top and achieve the goals you’ve set for yourself. For a limited time you can download a free copy of my chapter here. This book is packed full of valuable information from the best in the business. 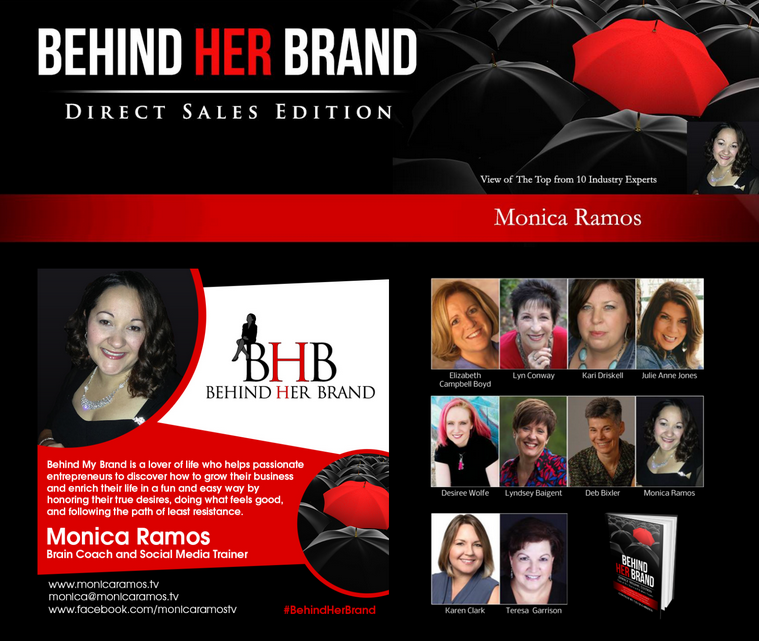 If you have a dream to take your business to a higher level of success, an idea deep down that you just know could be successful, why not follow the same blueprints these women share? You’ll find yourself dusting off your dreams of success and putting the action-based ideas and steps into place so you can build your team and create a wildly profitable Direct Sales business. 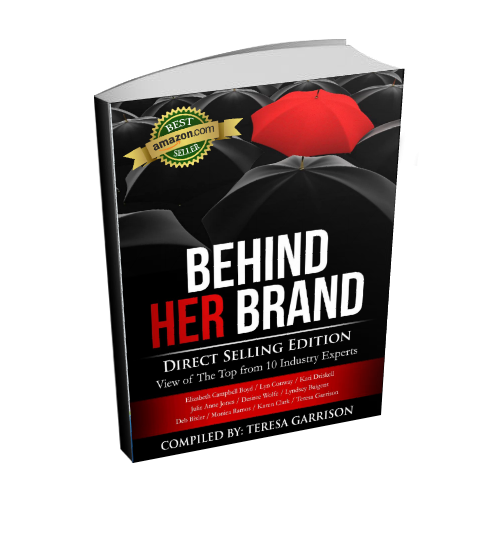 These women have focused their careers on supporting those in the direct sales industry. They have witnessed both devastating failures as well as monumental successes. The insights they share, from their view of the industry, will assist you to connect more successfully with your team, your leadership, your corporate office and most importantly with your customers. Let them help you to streamline your efforts, based on their experience working with the industry’s top leaders, to excel your growth and income. The best kept secrets are not always surprises. 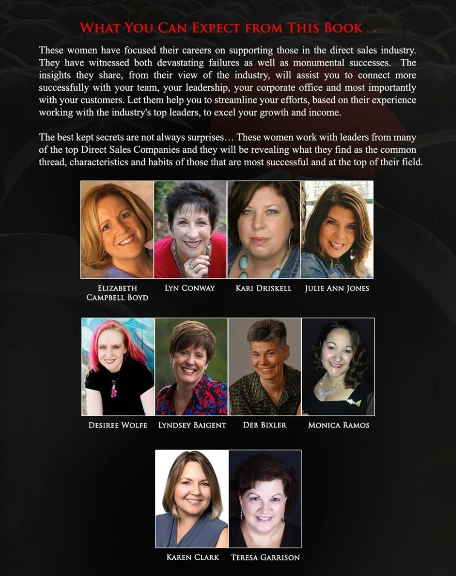 These women work with leaders from many of the top Direct Sales Companies and they will be revealing what they find as the common thread, characteristics and habits of those that are most successful and at the top of their field.